Few months ago, I have migrated the Primary SCCM site along with its secondary sites to SCCM build 1806 . Update of Primary site along with secondary site upgrades went fine except 1 secondary site. The failed secondary site throw the following error code in log. Server components are experiencing fatal errors. Error code 1 means Incorrect function. It looks to me that ,it is failing to register the smsprov.dll and it just hangs there for longer period (almost an hour). Have looked at the AV (anti virus) if something holding the process for long time ,but there is nothing .Have even tried disabling the AV but no luck. Without further waiting , have rebooted the server and initiated the secondary site upgrade using SCCM console. This time ,it failed again with same error code. I could not troubleshoot much further so raised support case to identify the root cause and fix it. Support engineer collected the dump file and also procmon logs to find the root cause . we Notice that TMP folder is created and all files are existing. However, the log stopped at “INFO: Registered OCX: D:\Configmgr\bin\x64\smsprov.dll with regsvr32.exe~”. No further more logs after 30 minutes. Then bootstrap delete the TMP file. Go through previous log, notice that it will take several hours to make the registration works. It is not a correct behavior. Manually run regsvr32.exe extnprov.dll. It did not finish. Check the process monitor. We see the process is there and did not process. 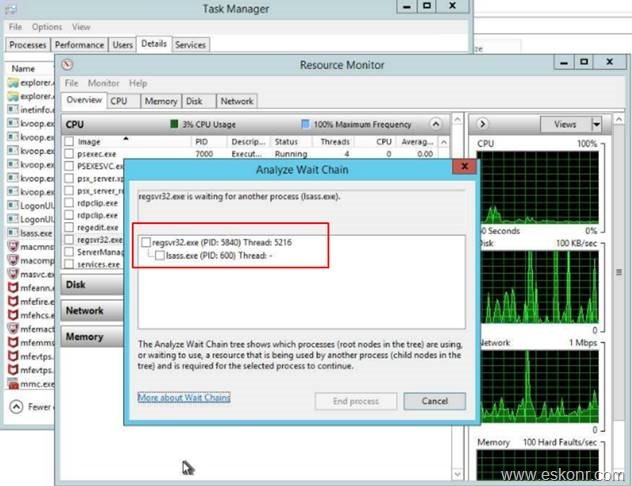 We check Analyze Wait Chain, it shows the block process is Isass. We restart the secondary site, still not work. Collected DUMP file of both Isass and regsvr32. DUMP shows that regsvr32 call isass. Isass send request to DC. But there is no information back. Below is details about the DUMP. “SMS Admins” is one default name, it will not display the exact account name. The regsvr32.exe process stuck on the following call stack which invoke the RPC call LsaLookuprTranslateNames3 for account “SMS Admins” to LSASS.EXE process. we tried possible solutions to fix the issue ,but none of the worked .support engineer discussed internally and come back with following workaround which is really simple. On secondary site (SS2) , open Local Users and Groups. Set group name as SMS Admins. After you create SMS Admins group , reinitiate the secondary site upgrade ,that will fix the issue. Few weeks ago ,on different customer, i ran into same issue for 2 of the secondary sites while upgrading to SCCM build 1810. 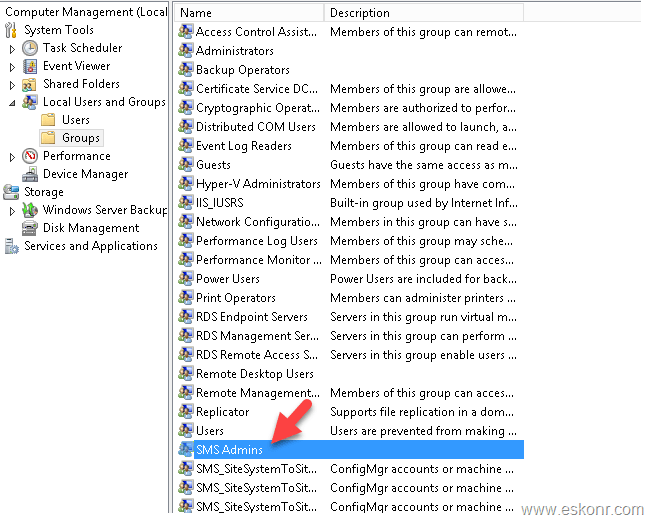 After creating SMS admins group locally ,secondary site installation went fine. I hope this solution solve the mystery of installing secondary sites. One Response to "SCCM Secondary site upgrade Failed to create process of SetupWpf.exe. return value 1"